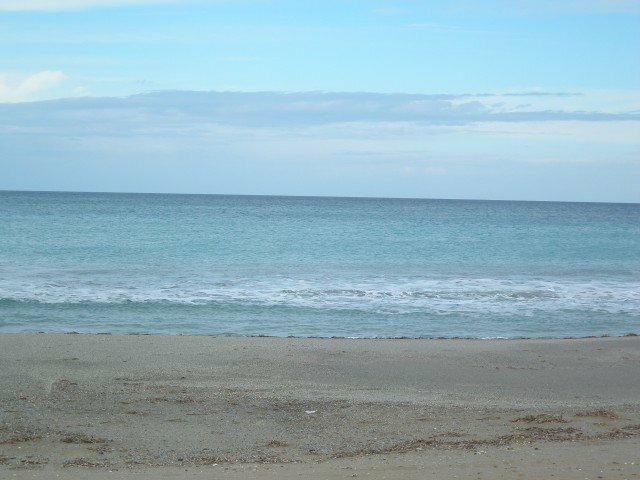 Villa Aphrodite is located in the exceptional for its aesthetics and hospitality village of Adele, Rethymnon. 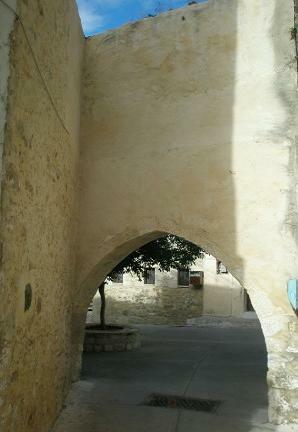 Today's visitor of the village quickly finds that the main residential nucleus dates back to the Venetian rule. With a unique architecture and endless vineyards to complement the beauty of the landscape, Adele is an ideal leisure destination and relaxation for your holidays in Crete. 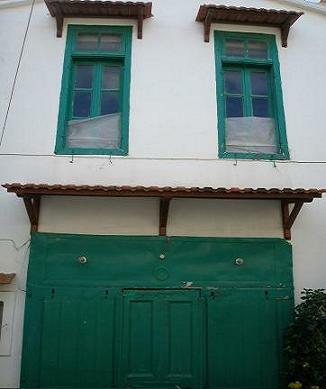 In the center of this earthly paradise Villa in Crete Aphrodite is indicative of the unique atmosphere and culture of the village. In a plot of 1200 sq.m. 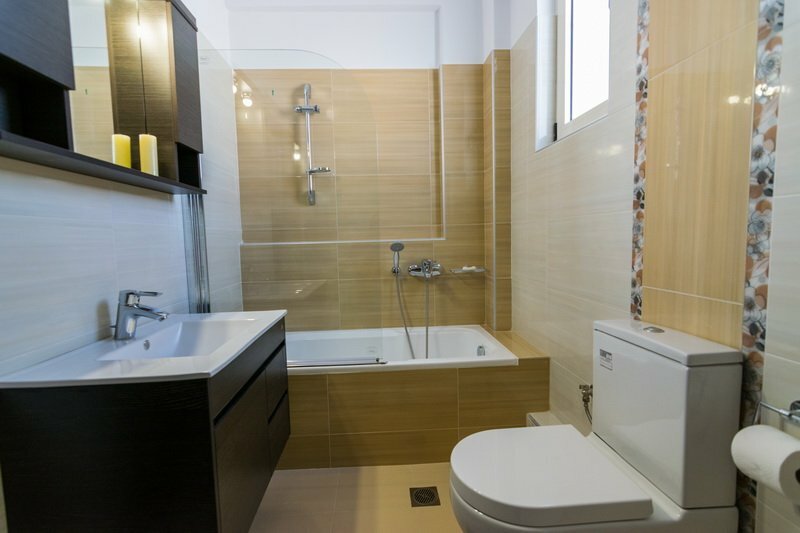 is built a maisonette of 85 sqm. 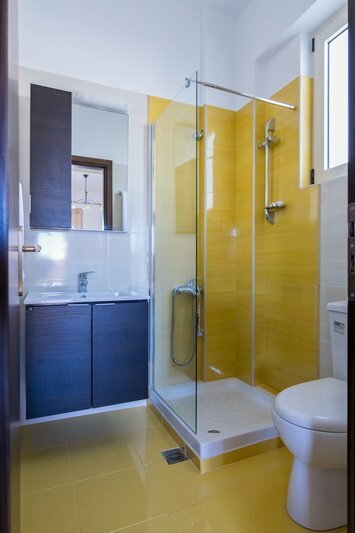 in modern architectural design, yet without contrasts to the traditional look and style of the place. 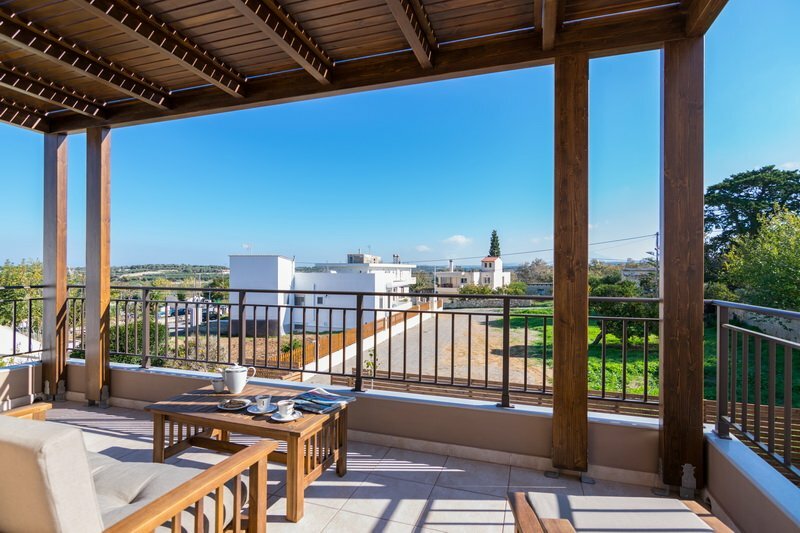 Because of the location itself, the villa offers wonderful views of the North coast and the mountains that are perfect for your relaxed holidays in Crete. 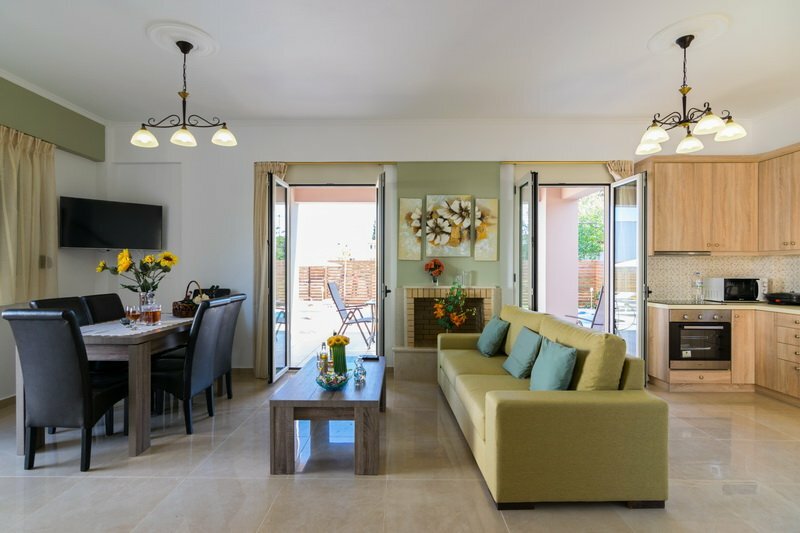 Carefully furnished with taste in a modern style but also with touches of traditional elements, it can accommodate up to five people, making it the ideal choice for family Crete Greece holidays. 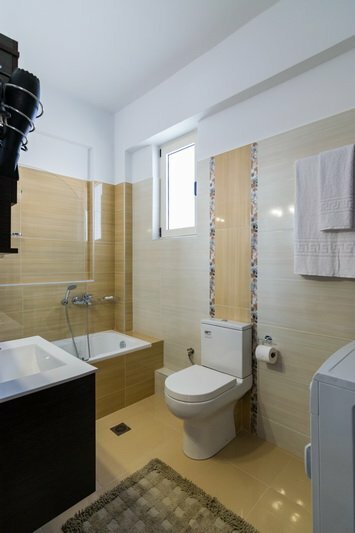 The ground floor of the villa in Crete consists of a spacious living room with a fireplace, a dining room and a toilet. 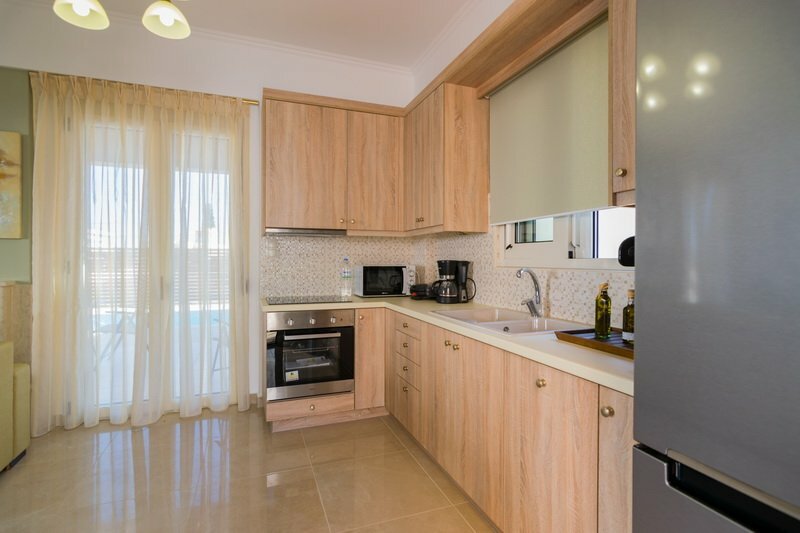 There is also a fully equipped kitchen with a door leading to an outdoor grill. The living room doors open onto a terrace furnished and decorated with care, offering enjoyable relaxation overlooking excellent views. Upstairs there are two bedrooms and a bathroom with a tub. 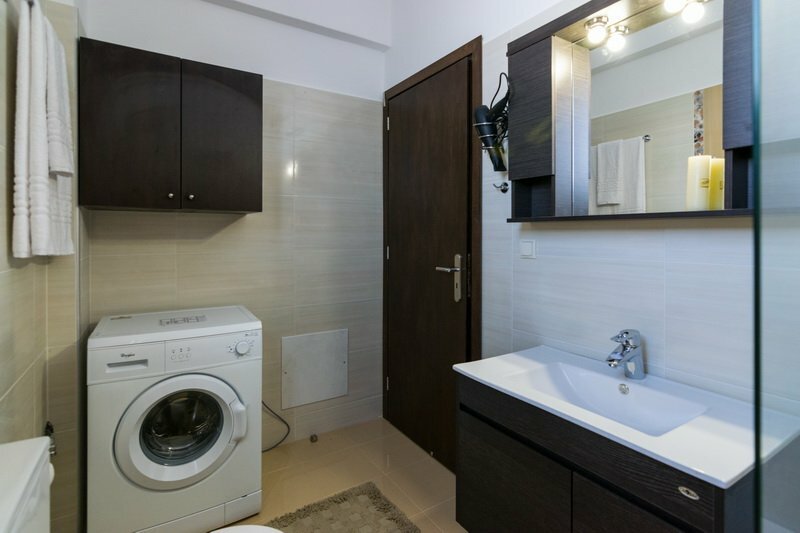 In the bathroom area is installed a washing machine. 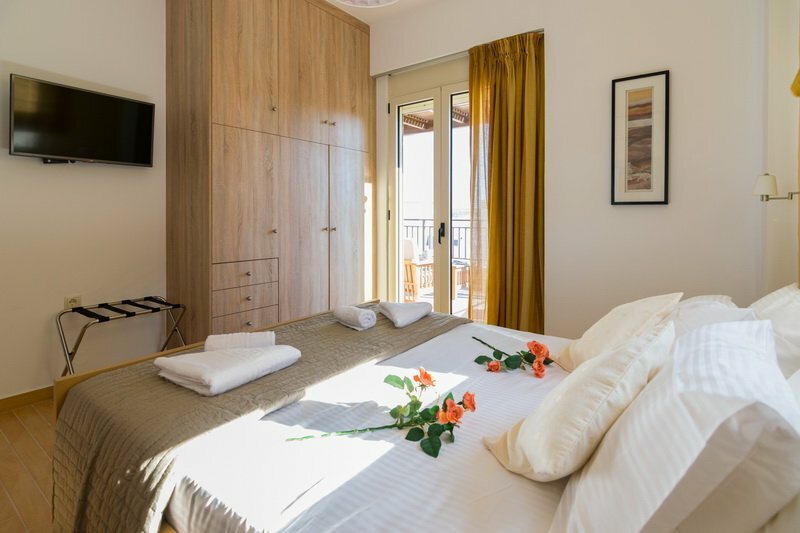 The first bedroom is furnished with a double bed, comfortable bed, while it is tastefully and ergonomically decorated. In the bedroom area there is a door leading to a spacious terrace with a modern wooden pergola, perfect for relaxation. The second bedroom has two single beds that can easily be converted into a double one if required. 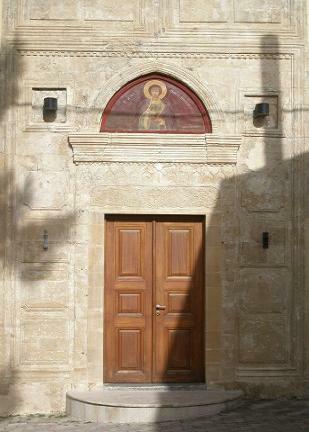 The door leads to a terrace with a pergola, while a second door leads to a smaller balcony. Paying attention to detail and in the best interest of our customers, we ensure that the mattresses of the beds are of natural products and can be used from both sides. Made from natural rubber latex they are the most appropriate ones for a comfortable and restful sleep. 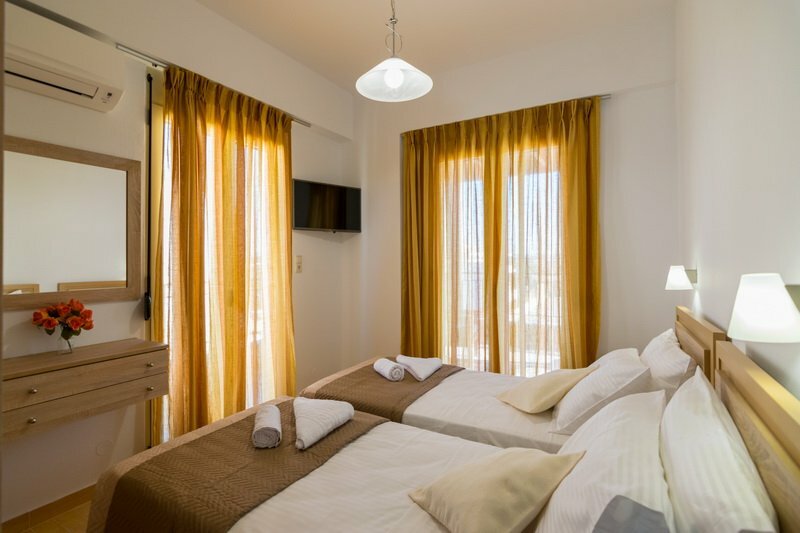 Both bedrooms have air conditioning and modern flat-screen TVs. The villa in Crete as a whole is equipped with a satellite dish, air conditioning, an alarm system, a dishwasher and a washing machine. Extra free wireless Internet connection and baby cot upon information of our customers are provided. Villa Aphrodite offers an outdoor pool of 21 sqm. offering its guests unforgettable moments of relaxation and fun for the whole family. 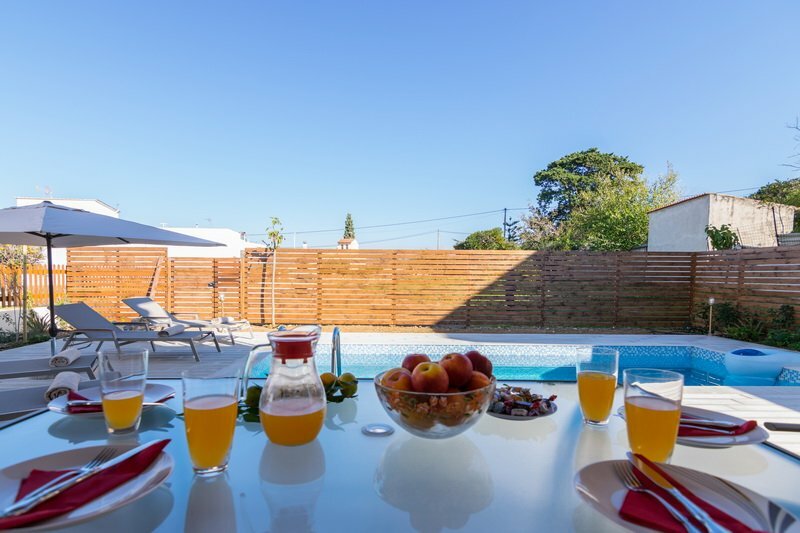 Your vacation gain a sense of luxury while you enjoy the relaxation you need in the peace and quiet of the, carefully adjusted to your needs, maisonette. 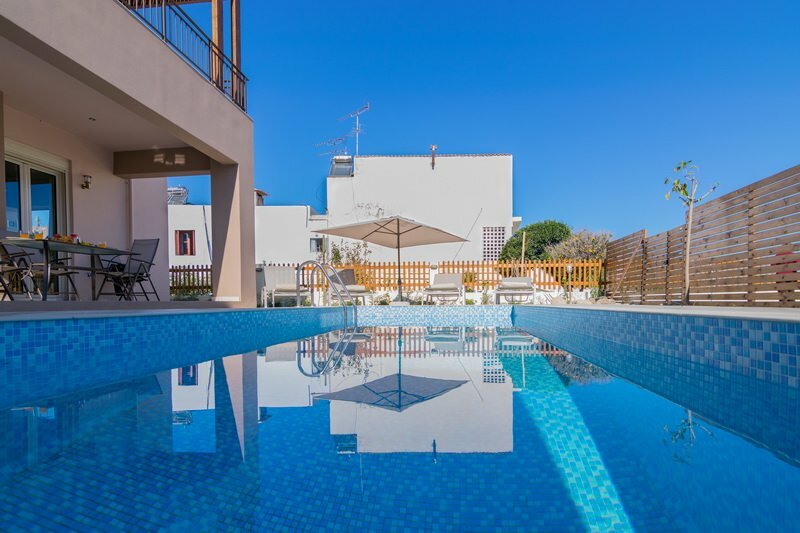 You can relax sunbathing on the loungers by the pool or enjoying the play and swim with other family members during your Crete Greece holidays. Outside the villa in Crete dominates the natural beauty and roses, cypress, jasmine and orange trees which create an enchanting scenery of colors and fragrances. 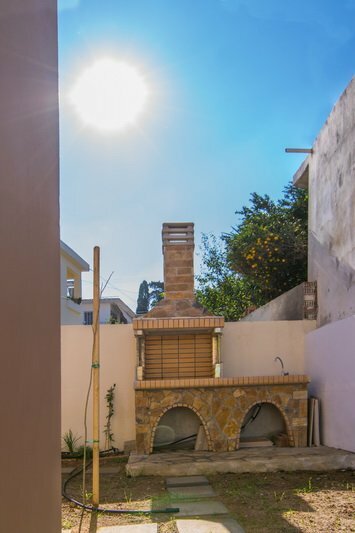 In the corner of the garden there is outdoor cooking facility for the barbeque enthusiasts and of course there is private parking. 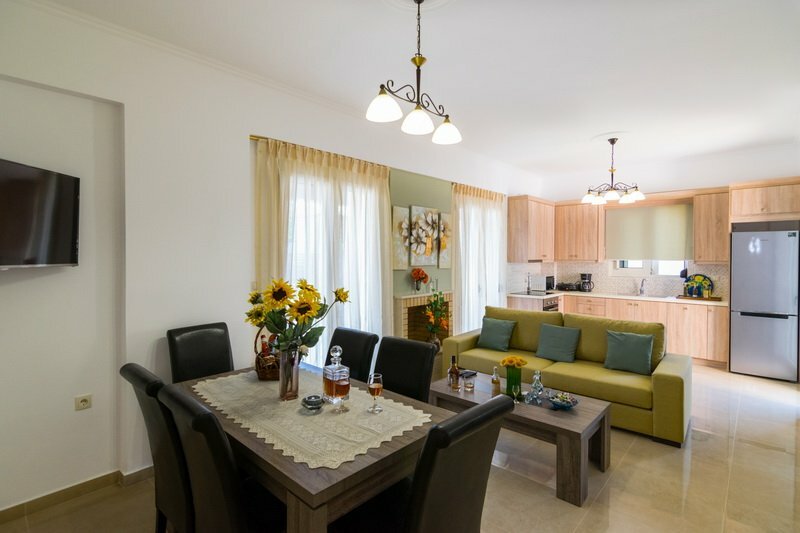 Our intention at Villa Aphrodite is to provide our guests with high quality services and make their holidays in Crete a unique relaxation and entertainment experience. 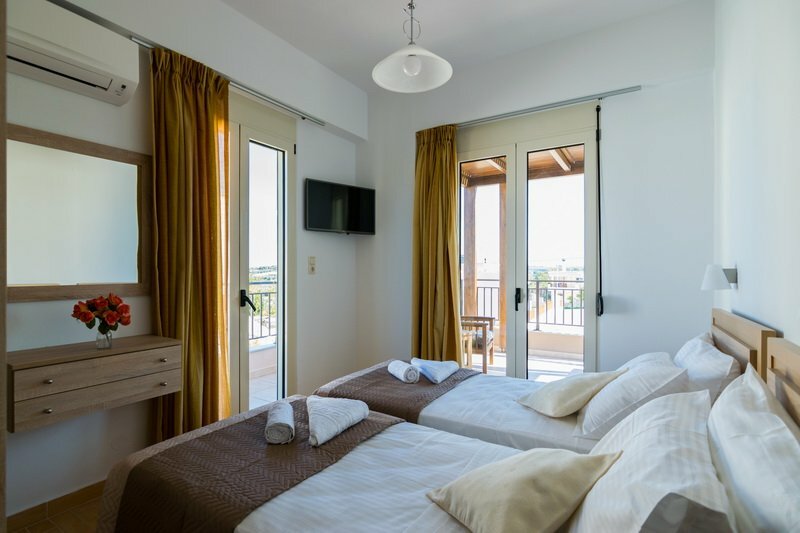 We are by your side in anything you need of us and we aim to make you feel 'at home' during your Crete Greece holidays. Wanting everything to welcome our guests traditionally and to transfer to them the importance of our local culture, we offer them high quality olive oil from our own olive trees, local wine and raki of our vineyards as well as fresh seasonal fruit as a welcome. 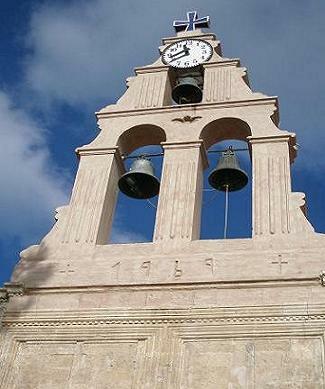 Telephone communications with the villa in Crete owners may be as frequent as needed. 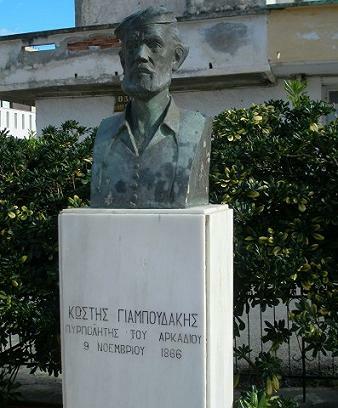 You may download the Greek translated overview from here. The villa is amazing and was exactly what I wanted for a holiday. 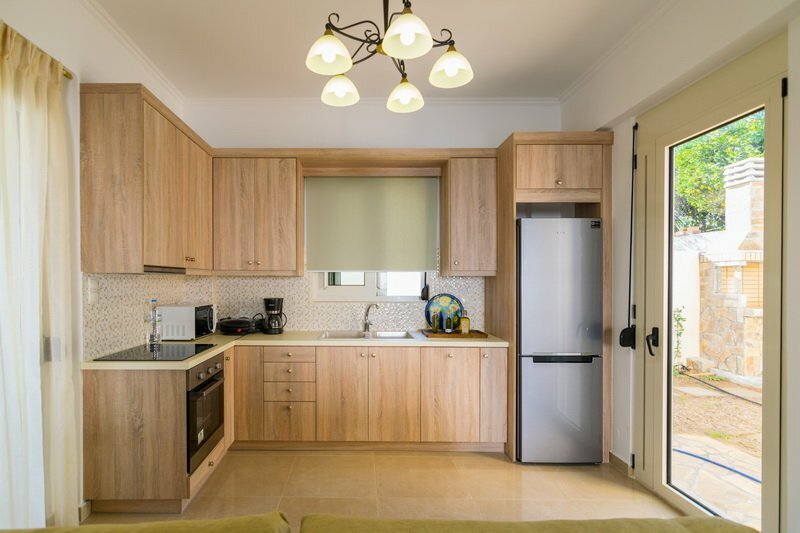 The villa has everything it states it does, including all the necessary cutlery, pots, pans, a washing machine, a dishwasher, etc. The swimming pool was very nice and was cleaned a few times during our stay. 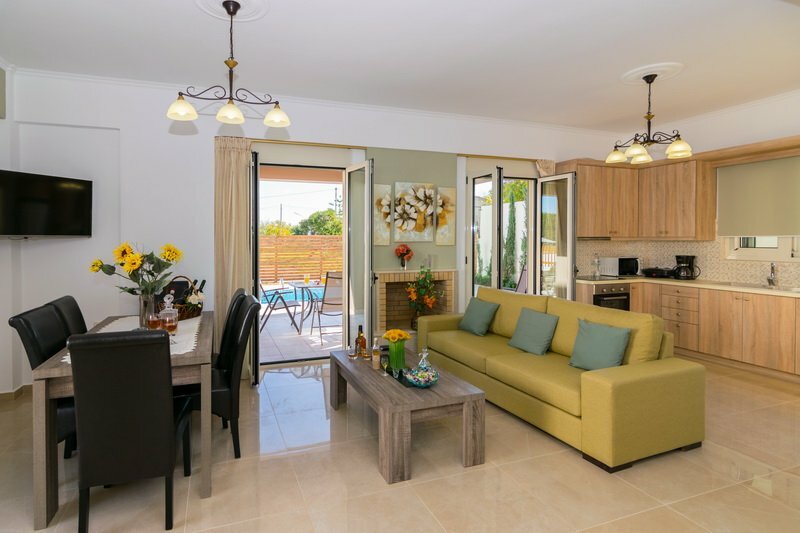 The villa is very spacious with the 2 bedrooms and 2 bathrooms and plenty of seating area both inside and out to eat or have a drink. We particularly enjoyed having breakfast outside near the pool which gave it the true holiday feeling. The villa is everything you could want and more. The only criticism I have of the stay is that the owner came to the villa too often. Whilst it was very much appreciated that he was checking that we were ok and had everything we wanted/needed, too many visits make it uncomfortable and slightly frustrating. During our 7 day stay the owner came to the villa on at least 4 of those days. Perhaps less visits or some notice if he was going to visit rather than turning up out of the blue would be appreciated. It is slightly awkward sitting down to breakfast and having an unannounced visit in the middle of eating. 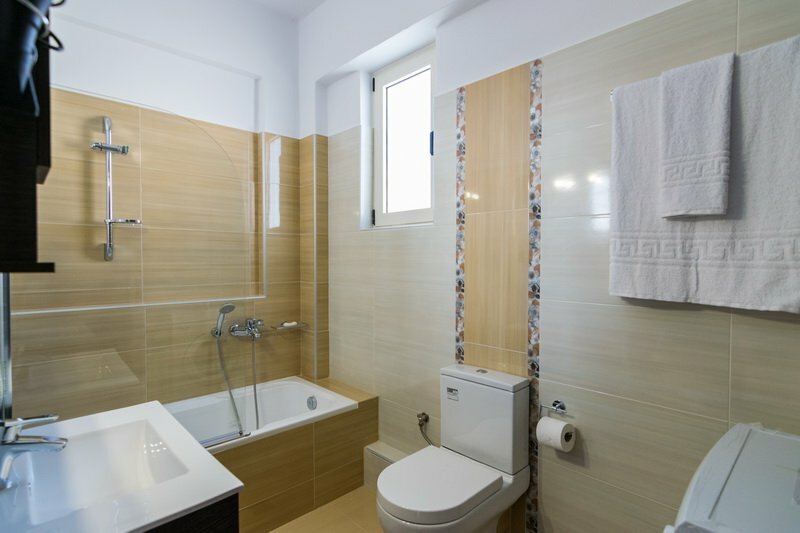 That said, the villa and the holiday were perfect and the owner was very quick to deal with any issues we raised, such as no shower curtain in the downstairs shower, he returned the following morning with a curtain for us. 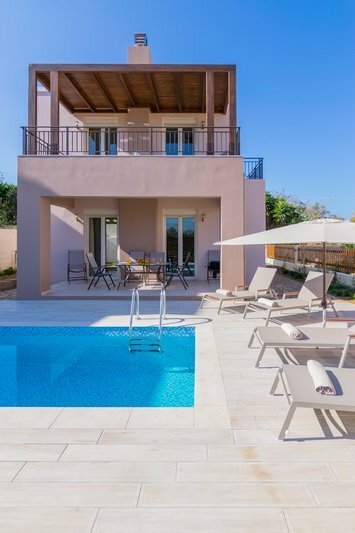 I would definitely recommend this villa for anyone looking for a nice holiday and I will definitely be returning very soon. In Villa Aphrodite we take very seriously the fact that people with disabilities have the right to luxury vacations. Our villa is friendly to people with disabilities.